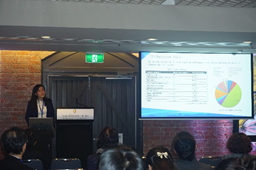 The 12th International Conference on Management Science and Engineering Management (ICMSEM), organized by International Society of Management Science and Engineering Management (ISMSEM) and co-organized by Monash University and Sichuan University, was held at the Melbourne, Australia, from Aug.1 to Aug. 4, 2018. The organizing committee chair, Prof. Fang Lee Cooke, at Monash Business School, hosted the opening ceremony of the 12th ICMSEM on Aug.2, 2018, at 09:00 am. On behalf of the co-organizers, Professor Russell Smyth, Deputy Dean of Monash Business School presented the warm welcomes to the university and most sincere wishes for a successful meeting. The general chair and the president of ISMSEM, Prof. Dr. Dr. Jiuping Xu at Sichuan University, presented the sincere appreciation to the co-organizers for their perfect work, the warm welcome to all conference participants, and a brief introduction to the ICMSEM series. The 2018 Advancement Prize for MSEM was also awarded during the opening ceremony. The prizes were rigorously selected from the recognized 138 full papers as valid entries from 814 submissions by 20 jury board consisting of Australia, Azerbaijan, Bangladesh, Canada, China, France, Iran, Japan, Korea, the Republic of Moldova, Malaysia, Mexico, Pakistan, Portugal, Spain, Sweden, Thailand, Turkey, the USA, and Uzbekistan. It was observed that some of the submissions have a team of researchers from both developed as well as developing countries. Scientific Journal Report was announced by Prof. Ziqiang Zeng at the end of opening ceremony. It focuses on management science in engineering to support the Authors to easily identify the most suitable journal; help the Editors to propose ways to improve journal impact and evaluate the Journals not only based on impact factor but also developing comprehensive index. Advancement Prize for MSEM Grand Prize is awarded to Orawan Reangsephet, Supranee Lisawadi and S. Ejaz Ahmed for the excellent paper titled Improving Estimation of Regression Parameters in Negative Binomial Regression Model. Advancement Prize for MSEM Runners-up Prize is awarded to Mitsuo Gen, Xinchang Hao, Lin Lin and Youngsu Yun for the excellent paper titled Advances in Hybrid EDA for Manufacturing Scheduling with Uncertainty: Part I. Another runners-up Prize is also awarded to Xinxin Xu, Ziqiang Zeng, Yinhai Wang and John Ash for A Framework of a V2X Communication System for Enhancing Vehicle and Pedestrian Safety at Un-Signalized Intersections. Prize is awarded to Isaac Segovia Ramírez, Alberto Pliego Marugán and Fausto Pedro García Márquez for the excellent paper titled Remotely Piloted Aircraft System and Engineering Management: A Real Case Study. The Prize is also awarded to Motoki Watabe and Daisuke Nakama for the excellent paper titled Agent-Based Computer Modeling for Understanding Organizational Dynamics. At the same time, the Prize is awarded to Wooseok Jang and Hyeonju Seol for the excellent paper titled Identifying the Emerging Safety Technologies Using Futuristic Data: Topic Modeling and Diversity Approach. Seven keynote speakers from Azerbaijan, Canada, UK, Japan, Australia, New Zealand and USA have given the plenary reports on the morning of Aug. 2-3. In view of the understandings on management science and engineering management, these keynote speakers stated the frontiers of their research, which triggered a heated discussion among the participants. This conference also included 8 parallel sessions, wherein scholars from Sichuan University and other international institutes contribute their 15-20minutes presentations. All sessions were well attended with periods of intensive after presentation exchanges, an indication of the scientific interest in the various developments and trends of optimization, data mining and related fields of modern OR in the management science and engineering management sector. This conference also included workshop focusing on “Governance on Disaster-induced Internet Public Opinion” on Aug. 4. Topics are as follows: (1) Evolution law of internet public opinion caused by disasters; (2) Data representation and case study of internet public opinion caused by disasters; (3) The internet behavior of the public following the disasters; (4) Intervening strategies of disaster-induced internet public opinion; (5) Information propagation models for disaster-induced internet public opinion; (6) Socio-psychological response to disasters; (7) Resilience to disasters from an internet public opinion perspective; (8) Internet public opinion dissemination and coping strategies in disasters. All talks were well discussed in detail with workshop attendees, who came from China, USA, Japan, Azerbaijan and so on. The conference proceedings were published as a Springer Proceedings Book with ISBN. This proceedings volume includes the full papers of the communications presented at the conference, which underwent a peer refereeing process. The Proceedings of the 12th ICMSEM will be delivered to both ISTP and EI retrieval.